We get it- your kids are kind of a big deal. Not only do we value their safety just as much as you do, but we also get the fun factor. Stonehill Kids is a is a great place just for your children! 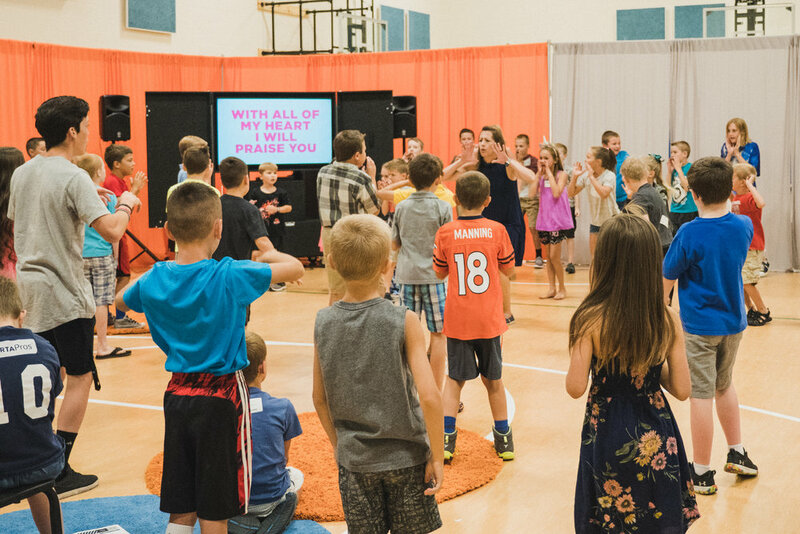 While you’re in service, rest assured that your kids are receiving top-notch, age-appropriate care with a bottom line to teach values that are rooted in the truth of God’s radical grace. You child is important to us. On your first visit, we need the following personal information: parent/legal guardian names, children’s names and birthdates, address, phone number, and any special instructions (allergies, special needs) for each child. This information is entered into our Stonehill Kids database to help maintain our secure Kidcheck-in system. Each of our leaders at Stonehill Kids have completed a background check and training before they can serve. Our carefully designed check-in process ensures safe drop off and pick up of your kids. Summer is just around the corner and if you have a child who will be entering 3rd-5th grade in the fall, Kids Camp is for them! We’ll be heading up to Quaker Hill in McCall for an amazing weekend your kids will not want to miss. Click HERE to register.